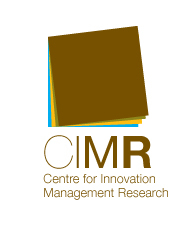 The objective of the CIMR Working Papers is publicise research being done by its academics, PhD students, Research fellows, Visiting fellows, Stakeholders and visitors. WP38 A tale of persistent network additionality, with evidence from a regional policy. Annalisa Caloffi, Federica Rossi, Margherita Russo. Adopting a counterfactual approach to the evaluation of a regional R&D; collaboration policy, carried out in Tuscany (Italy), we investigate different types of persistent network additionality, namely persistence effect, breadth effect, composition effect, and depth effect. WP37 Innovation in risky markets. Multinational and domestic firms in the UK regions. Luisa Gagliardi, Simona Iammarino. This paper analyses the relationship between firm engagement in innovation and perception of market risk. It points to heterogeneity in the behaviour of multinationals (MNEs) versus single domestic firms, emphasising how this relationship changes across regional contexts. WP36 Entrepreneurship policies and the development of regional innovation systems: theory, policy and practice. Helen Lawton Smith. The paper provides an appraisal and synthesis of the regional innovation systems approach in relation to entrepreneurship policies. It addresses a number of areas where theoretical, empirical and policy-based issues are currently under-developed in relation to entrepreneurship and entrepreneurship policy. WP35 Science, Innovation and Technology Transfer Pathways in Translational Research: A Study of Divergent Trajectories in the Healthcare Sector in Europe. Helen Lawton Smith, Sharmistha Bagchi-Sen, Laurel Edmunds. The geography of the biomedical sector, that of clustering in particular regions, presents an opportunity for place-specific understanding of processes involved in translational research in medical sciences, particularly with regard to the role of public policy and its outcomes in four bioscience regions in Europe. WP34 Designing performance-based incentives for innovation intermediaries: Evidence from regional innovation poles. Margherita Russo, Annalisa Caloffi, Federica Rossi, Riccardo Righi. The paper focuses on the issue of how to identify appropriate indicators to measure the performance of publicly-funded innovation intermediaries. It argues that indicators need to be closely tied to the policy's objectives, which are usually linked to the remedying of innovation system failures. The case of a policy programme implemented in Tuscany (Italy) is used to illustrate how the choice of performance indicators that are only loosely tied to the policy’s objectives, can lead intermediaries to adopt behaviours that are misaligned with those objectives. The findings are then used to develop some implications for the design of performance indicators that are aligned with the objectives of policy. This paper investigates the role of skill heterogeneity in affecting differences in occupational mismatch across fields of study. By relying on measures of overeducation and overskill collected in the 2014 ISFOL survey, we test to which extent the two phenomena differ across fields of study and the role played by merit and non-cognitive skills. We find that having an excellent graduate curriculum significantly decreases over-education and over-skill, while non-cognitive skills do not matter. WP32 Understanding the Dynamics of Triple Helix Interactions. The Case of English Higher Education Institutions. Mabel Sánchez Barrioluengo, Elvira Uyarra and Fumi Kitagawa. This paper examines the evolution of the dynamics of the triple helix interactions exemplified by the case of Higher Education Institutions (HEIs) in England. Results highlight the persisting heterogeneity between HEIs in their combination, geography and evolution of triple helix interactions, particularly between research oriented universities and newer universities with strong teaching orientations. In the last decades a major trend has been ignored: both the quota of public R&D and its share over the total R&D investment has shrunk in most OECD countries. As a result, a larger fraction of knowledge is today generated in the private sector. We argue that this is a major problem since public research and private research differ along a number of characteristics. This has implications for innovation and welfare. Through the lens of the public goods theory and the evolution of R&D for the period 1981-2012 we try to explain why. This paper addresses a number of questions on university-industry (U-I) collaborations. We find that U-I collaborations are less likely to happen when compared to other types of collaboration. Geographical proximity facilitates collaboration; it also works as a possible substitute for institutional proximity, facilitating U-I collaborations. ‘Star inventors’ play an important role in ‘bridging’ universities and industry. The paper investigates the effectiveness of training initiatives by checking whether a measure of employee-job fit and a measure of employee potential are significant determinants of participation in employer-sponsored training undertaken for job-related reasons. The empirical analysis, extended to five large EU countries (France, Germany, Italy, Spain, and the UK), is based on OECD PIAAC Survey. This paper explores the relative effectiveness of training in securing continued employment in a time of economic downturn, within the context of the Italian territorial dualism. We use a panel on 4,861 individuals for the period 2008-2011 and focus on how the effects of training differ between the South and the Centre-North of Italy, and also across workers with different levels of education. This paper explores how environmental - social, spatial, temporal and institutional - contexts and individual motivations interact to influence entrepreneurial behaviour during a process of collaborative innovation. This is a qualitative case study into an Innovate UK funded inter-industry collaboration which took place in Bristol from 2011-2014. This paper explores the challenges facing female entrepreneurs in Kenya. A key theme is how, through the improved availability of micro-finance, women’s entrepreneurship is becoming a successful model for lifting women and their immediate families out of poverty. The paper provides an extensive review on two of the most popular innovation paradoxes in the literature of innovation studies, that of the European paradox and of the Swedish paradox. It draws some important conclusions relevant for both theory and practice." This paper discusses how to appropriately monitor and assess the performance of universities’ knowledge transfer activities. In light of different models of how knowledge flows from university to industry - each requiring different indicators - we compare four monitoring exercises currently implemented in the UK, US and Canada, Australia and Europe. This contribution highlights the complex, non-linear and potentially contradictory nature of the relationships between technological progress, economic growth and social development, in particular within the context of market based economies. It is also argued that a “positivistic bias” affects also the neo-Schumpeterian literature characterized by the dominance of a supply-side and micro-based view of the technology-economy relationships. This paper explore the ex post effect that initial public offerings have on the innovative performance of companies using a quantitative measure of patent activity in the years preceding and following the event. This paper uses data from the ISFOL PLUS Survey to focus on the specific features of the Italian labour market and of the Italian Public Employment Services (PESs) so as to analyse the difficulties that they face in responding to the challenges posed by the Youth Guarantee (YG), both in terms of reorganisation and of strengthened financial effort. The paper proposes a conceptual framework to explain why, particularly when policies deal with complex and ambiguous issues, an increasing gap may open up between government-set objectives and the instruments used for policy implementation and evaluation: the former are characterized by increasing breadth and ambiguity, while the latter become progressively narrower in scope. The case of policies in support of university-industry knowledge transfer in the United Kingdom is used as an illustration of how these processes can play out in practice. The paper investigates the consequence of the use of the informal recruitment channel on the phenomenon of overeducation and on the internal migration in the Italian labour market. The paper explores the effect of external knowledge sources and their geography on innovation activity in small Knowledge Intensive Business Services (KIBS). It draws on results from a survey conducted in 2010 of 342 small and medium (SME) KIBS in the UK's North East and West Midlands. This paper investigates whether the presence of Multinational Enterprises (MNEs) carrying out investment activities in the UK benefits the innovation capacity of domestic firms within the same industry. Using data from the United Kingdom, we analyse the relative efficiency with which university institutions engage in knowledge transfer activities, and study the institutional and environmental factors that influence their efficiency. While most current studies limit their focus to intellectual property disclosures, we focus on a broad range of knowledge transfer outputs that include also research and consultancy contracts, professional training courses, and public engagements. This paper deals with how born global firms learn from own experiences and from other actors, with whom the firms interact in foreign markets, to create innovative solutions for international growth. This paper outlines some critical issues connected with the choice of appropriate indicators in the measurement of universities’ performance in knowledge transfer. The paper focuses on how regions become entrepreneurial and the extent to which the actors in the triple helix model are dominant at particular stages in development. It uses the case studies of Oxfordshire and Cambridgeshire in the UK to explore this theme. The paper examines how the concepts of entrepreneurship and innovation can be expanded into different forms to map civic entrepreneurship. To do so it uses the case of the makings of a cultural cluster in Oregon in the USA. This paper analyses the impact of internationalization on the innovation performance of 42 countries and for these countries finds support that competing in international markets via outward FDI and exports increases the scope of learning and the need to innovate. We consider the industrial districts “conductors” of social capital. Hence, we use the regional density of industrial districts to measure social capital and we analyse its impact on regional unemployment in Italy. This paper explores the patterns of education-job (mis)matching of recent university graduates, focussing on the impact of interregional migration. We find that firms in countries which have both high earnings replacement rates and high participation in vocational education and training were less likely to reduce investments in innovation following the onset of the financial crisis; countries with only one of these features were more likely to see reduced investment in innovation; job security appears to have no effect. This paper, based on the latest three waves of the UK Community Innovation Survey, compares drivers of innovation investment before and during the crisis, and finds that the crisis led to a concentration of innovative activities among fast growing and already innovative firms. Building on the Schumpeterian hypotheses of creative destruction and technological accumulation, the paper compares drivers of innovation investment before, during and following on from the onset of the recent economic crisis through the analysis of a fresh survey of European firms. This paper investigates the effects of different forms of regional sectoral diversity on employment growth of Italian manufacturing and service industries. The current phase of the financial crisis which poses problems to companies, policy makers and academicians, requires profound re-thinking and reorganization of strategies, actions and instruments. Building on previous work (Lawton Smith and Waters, 2011) this paper draws on national datasets to review the continued and different development of the high tech economies of Oxfordshire and Cambridgeshire. This paper develops a typology of mixed modes of innovation - bundles of activities done by firms jointly to bring about new developments – and examines the role of the innovation modes in performance through the empirical analysis of innovation survey data from 18 OECD countries.